Lisa Brennan-Jobs is the first child of Steve Jobs, from a relationship that he had with his girlfriend Chrisann Brennan when he was twenty-three. 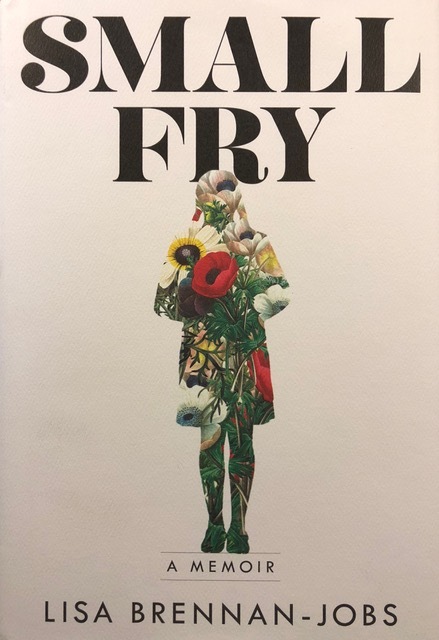 Small Fry, the author’s first book, is a memoir of her childhood and adolescence, as she bounced back and forth between her mother's modest home and the very different world of her famous father, with whom she had an often difficult and always problematic relationship. This book is not about Apple, on which nothing is said, except that Steve Jobs named one of the Apple computers after the first name of his daughter, but about Lisa Brennan-Jobs' struggle to make sense of her early life and to make peace with herself and with her father's ghost. Small Fry made the New York Times’ list of “The 10 Best Books of 2018”. Please join us in a discussion of the book on January 24, 2019 from 12:30PM to 2:30PM. The venue will be announced later.